Mary Helen Howard obituary. Carnes Funeral Home. Mary Helen Howard was born in Galveston, Texas on September 1, 1939. She passed away Sunday, September 27, 2015 at the age of seventy-six years, at Methodist St. John Hospital Nassau Bay, Texas. 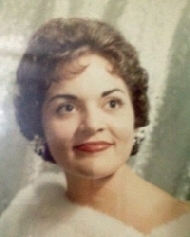 Mary Helen is survived by her husband, Alton "Brother" Howard, Jr.; and her two sons, Alton "Tito" Howard III and Chris Howard and his wife Kathy, their 2 children Lindsay and Ronnie all of Dickinson; sisters, Gloria Garza of Dickinson, Sylvia Silvas and husband Felipe of Texas City. Mary Helen was a longtime resident of Dickinson moving there after relocating from her hometown of Galveston in 1974. She worked many years in the banking industry at Guaranty Federal Savings and Loans, City National, Moody National, American Bank, U S National and Shriner's Burn Hospital where she retired from after twenty plus years of service. Mary Helen was a faithful Catholic who loved the church and loved her family. A private memorial is planned for the family only.